news The Western Australian Government has announced plans to transform the state’s highly regulated taxi industry to increase flexibility, safety and affordability in the face of disruptive competition such as Uber. Transport Minister Dean Nalder said on 18 December that the proposed reforms would create a more level playing field for WA’s ‘on-demand’ or taxi industry. The changes are aimed to bring increased accountability, competition and service quality from transport providers and safer, more reliable and affordable services for customers. “Changing customer expectations, the emergence of new market entrants and three separate reports into WA’s taxi industry have highlighted the need for a significant overhaul of the current rules and regulations for on-demand transport and taxis in this State,” he said. The proposed reforms will reduce red tape, address cost disparities and unnecessary operating conditions imposed on government-leased and privately owned taxi plate holders in both metropolitan and regional areas. “Under these new measures, taxi operators will be freed up to adapt to customer’s demand and take on competition. We believe WA’s on-demand or taxi industry will continue to grow, provided drivers and owners adopt innovation and technology to provide a better service and accept greater accountability for the services they provide to the community,” said Nalder. “Taxi rank and hail work will only be open to traditional taxis,” he stressed. The minister said the state’s first major taxi industry reform in 20 years would deliver more “flexible and innovative” transport options to customers and allow new market entrants to operate services lawfully in WA. “The Government’s reform agenda presents both an exciting and challenging period of transformation for the industry in both metropolitan and regional WA,” Nalder said. The State Government’s reforms will be introduced in two stages, with the interim measures – largely achieved through changes to regulations – to be introduced in July 2016. The second stage of reform will involve legislation. A long list of key interim measures include creating a new omnibus licence category to encourage drivers to comply with essential requirements, encouraging taxi operators to use technology to grow their rank and hail business, and introducing a cost recovery model for all licence categories – significantly reducing metropolitan government-leased taxi plate fees and increasing omnibus and regional taxi-car licence plate fees. Mandatory standards for all drivers entering the industry, removing the current minimum $60 hire charge for small charter vehicles, and removing licence conditions including restrictions on operating times and mandatory operating hours on weekends and public holidays are also included in the measures. The drafting of a new, single On-demand Transport Act is expected to start later next year. Ho hum. Same ole same ole. 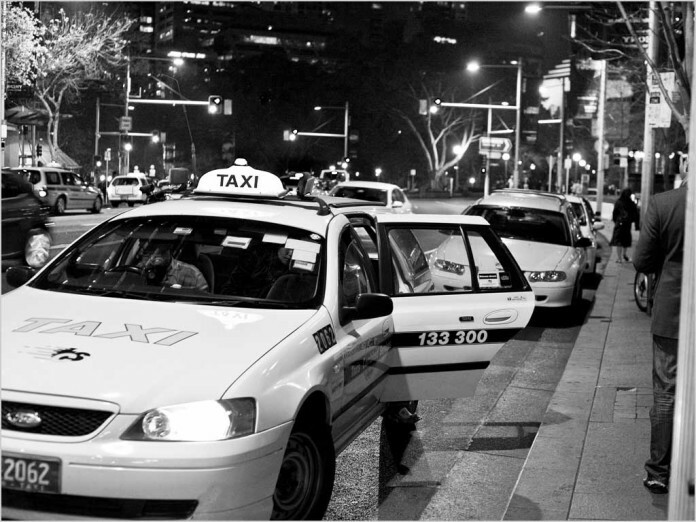 Some perspective: “…first major taxi industry reform in 20 years…” Make that 16. There’s nothing actually wrong with hype, but let’s remember that Dean Nalder is only one of Brian Burkette’s choir boys. So… I can remember when a taxi plate cost considerably less than a house, back in the 50s and early 60s. You could save up and get one with little difficulty. Now a Cap’n Cook at “Review of aspects of the Taxi Industry in Perth and Western Australia” October 2014, http://rac.com.au/cs/groups/public/documents/internetcontent/racstg058159.pdf, click on TOC “4. Past inquiries relevant to the taxi industry in Perth and WA” page 27: “Licence number restrictions were seen as inevitably leading to a less than optimal number of taxis in the industry.” And it gets worse. Brian Burkette has no intentions of upsetting his good mates anytime soon. That’s interesting and all, but you now have a “disruptive” element occurring that is not only highlighting failures, but is directly affecting the ability of the owners of those licenses to earn income. How long do you think they will keep paying for licenses if they can’t profit from them? Oh I am sure they could attempt to legislate against it, but Uber has already shown that it can and will work around the legislation, and the general public has reacted generally positively to the benefits it has brought with the extra competition. The market will change. It is pretty much unstoppable at this point. The question is simply when it will occur, and how much money will be wasted trying to prevent it.